From the beginning, the most prevalent subjects of Dial’s drawings have been women. From the beginning, the most prevalent subjects of Dial’s drawings have been women. 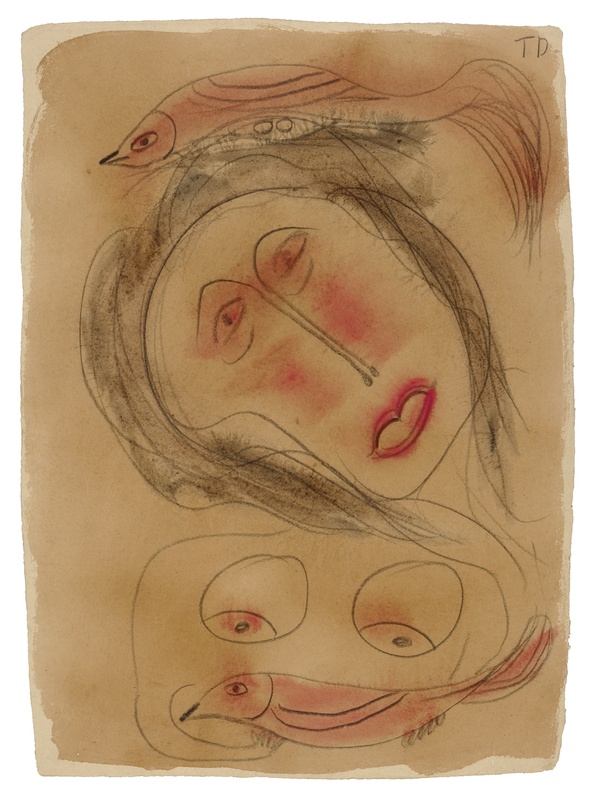 His earliest works on paper are sinuous female figures in communion with emblems of nature—birds, egg-filled nests, tigers and fish. A series called Life Go On from 1989 to 1990, in which many of the images feature a bird nesting on a woman’s head, is his tribute to women as “the creation of the world,” providers of “love and care, strength and power,” as he puts it. But he was also attentive to women’s efforts to achieve power and equality. In nearly all of the images that contain women and tigers, the woman dominates or appears to control the interaction.